Implants or bridges? Trying to decide which option is best for you to replace a missing tooth can be confusing. 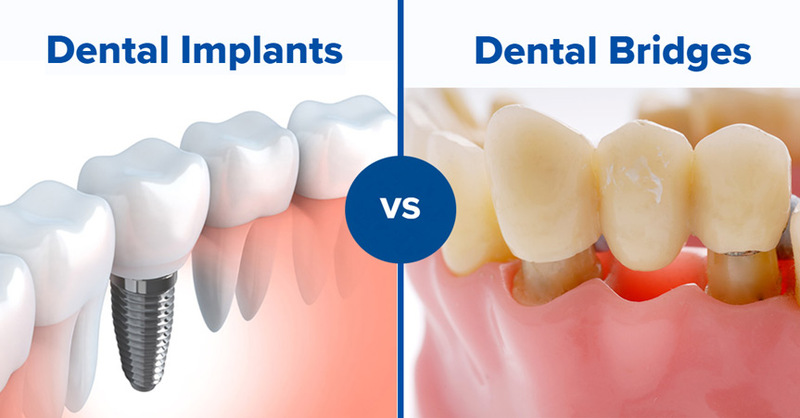 Both implants and bridges have their pros & cons. We are experts in both dental implants and dental bridges and can help you make the best choice based on your needs and concerns. The most beautiful smile you’ve ever had is here waiting for you!